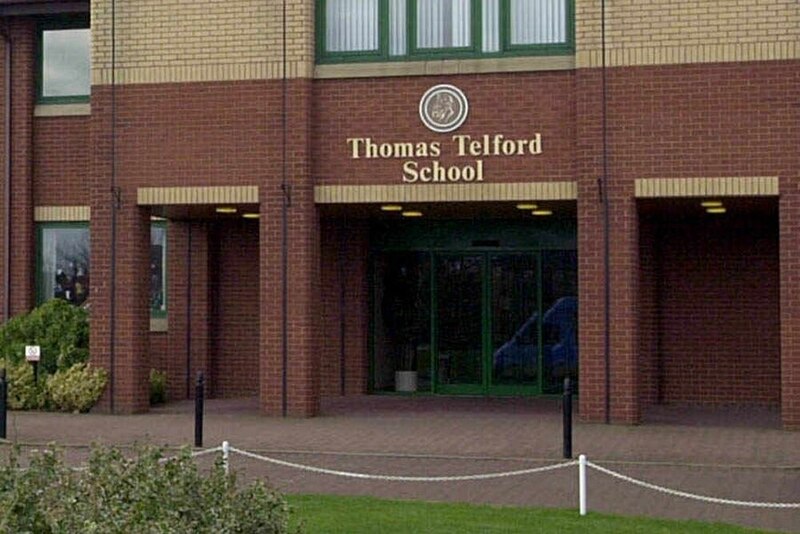 Construction work on a new £3.5 million business block at Thomas Telford School will start within months. The project is part of moves to expand facilities to include a state-of-the art careers centre and a new business academy to cope with demand from pupils. The school, in Oldpark, said business-related courses were already very popular and the introduction of a business academy will see six new 'high spec' teaching venues to house new courses including economics and accountancy. These will complement students’ studies as they progress to apprenticeships, training schemes, jobs and further education. Chiefs had initially explored purchasing the up for sale Land Registry nearby, but changed their minds. Head Sir Kevin Satchwell said: "The governors decided not to proceed with the purchase of the Land Registry site and have opted to build on the Thomas Telford site instead. "The decision was taken in June 2018. Building is due to start March." It is hoped that the new block will be ready for the start of the next academic year in September. The purpose-built business academy and careers centre will feature an open plan design and the programmes will complement the existing sixth form. It will allow careers staff to offer one-to-one advice, talks, workshops, university applications, mock interviews and work experience opportunities under one roof. The sixth form generates pass rates where more than 40 per cent of grades are A and A*, while 85 per cent of students gain places in top universities with the remainder achieving apprenticeships or employment. Currently the school can admit up to 182 pupils a year, but with the expansion programme it will be able to increase this to 286. The plans would also see the total number of sixth-form pupils increase from 500 to 600. Last year the school confirmed that it was in the process of acquiring the neighbouring Land Registry building, in Parkside Court, Park Hall Way, which is set to relocate to another site. The school held a four-week consultation on increasing the annual intake of pupils, along with sixth-form numbers as part of effort to response to demand for places. The school's trust has been working with Telford & Wrekin Council education bosses to increase pupil capacity at the over-subscribed site.